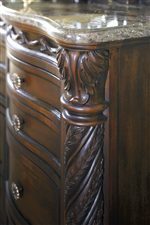 This grandiose dresser features exquisite and ornately detailed half turned posts which frame the serpentine front, exquisite rounded feet, and beautifully accented base board skirts. 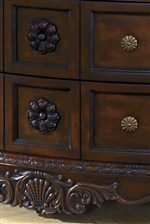 The intricate embossed ribbon across the top and fantastically detailed flower pulls on the drawers add an air of sophistication and fantastic elegance to this dresser. The stone top and arched frame mirror with turned posts and details to echo the motifs in the bed and dresser complete this fabulous piece. 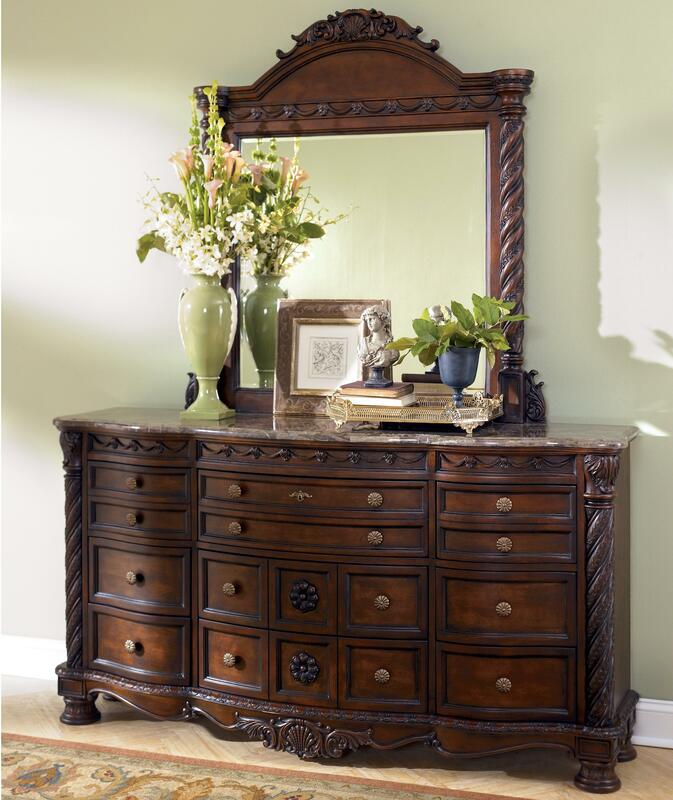 Bring this awe-striking dresser and mirror into your bedroom today. The North Shore Multidrawer Dresser w/ Mirror by Millennium at Household Furniture in the El Paso & Horizon City, TX area. Product availability may vary. Contact us for the most current availability on this product. 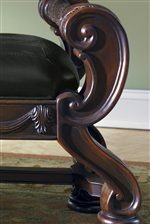 The North Shore collection is a great option if you are looking for Traditional furniture in the El Paso & Horizon City, TX area. 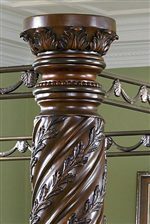 Browse other items in the North Shore collection from Household Furniture in the El Paso & Horizon City, TX area.